I ask this question to my prospective clients. The number one response is “everyone has one.” Not the ideal business way of thinking. 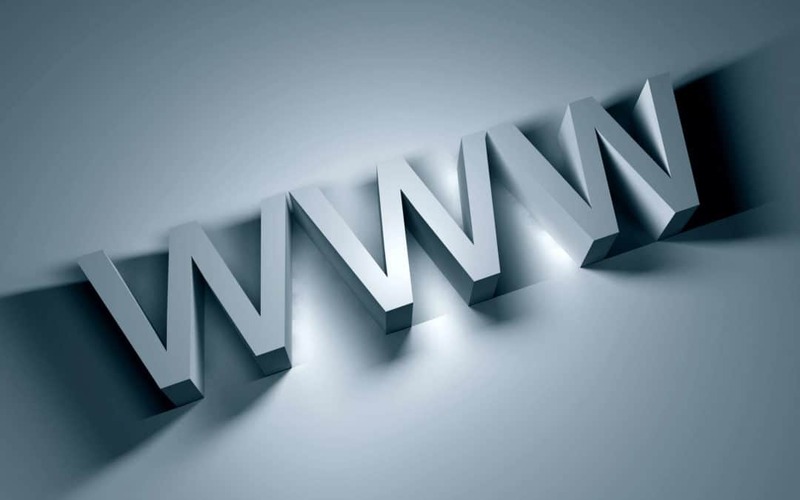 A website is not just a fancy business card that most small businesses see it as. You build it and let it get old and dusty. Nope – a website is a fluid marketing money stream. Yes! If done right, your website will make you money. Not directly – but over time, it will establish you and your business as an expert. That is the point of Internet Marketing. Shed away all your regular views on marketing and understand how people on the web find things. They search and click links. That is it! You could put a billboard up on the most popular roads and spend tens of thousands of dollars and get no one. A cheaper way would be to become the expert in your industry, which you could easily start doing today by writing 300 to 500 words a week. These short articles are called posts. When you write them on topics that concern your prospective clients that is where the magic happens. If you write a post once a week with information or tips in your industry then the search engines (think Google) will see you as the expert. This is what marketers refer to as inbound marketing and thousands of small businesses are using this technique. It is low-cost but needs a lot of preparation and elbow grease. Your small business need a website to tell the world what you do and how well you do it. Why do celebrities open restaurants? Restaurants are one of the most riskiest businesses around. On any given day, something can go wrong and the doors will close forever. Celebrities use their popularity and put their name on a restaurant. Do you really think they are their cooking in the back? Well, maybe Bobby Flay. But not Ashton Kutcher who owns Dolce restaurant in Hollywood. You have to create yourself as a celebrity in your field. Might sound hard and it is, but with the internet it’s extremely possible. Think of your website as your restaurant on the Internet, a place for everyone to come to and see your menu. You might have some listings in newspapers like Facebook but everyone who wants to order has to step inside your website. Like a good restaurant you need a good host or hostess. Your website must invite people with content and easy ways to contact and connect with you or your employees. This is where social media like Facebook and twitter come in. The hostess greats everyone at the door and comes around to make sure everything is great. This is what your website should feel like and with the proper integration with Facebook and Twitter, it does. As I mentioned before, if you write posts each week this will give your customers a reason to come and visit. Keeping the menu fresh. List five topics within your line of business that you normally talk to your customers. For restaurant example, it could be about food or the culture if it’s an ethnic restaurant. These topics will become your categories for your very own blog. As I mentioned earlier about posts, if you put a blog on your business website you will quickly expand your website. One post a week will create over fifty posts in a year. Each post is a page. That means in three years time your website will have one-hundred-fifty pages. Looking at this from a search engine point of view, that means each of these pages are entrances to your website. After three years of blogging each week you will have one-hundred-fifty entrances to your business website. THis is what creates you and your business as an expert. Search engines and directories love blogs. All you need is one article a week. Again, begin to think about the topics that your clients need to know about, and write them out now! Good luck, as always leave a comment below, Twitter or Facebook me. You can always contact me with any questions. I am here to help you with your online business struggles. Wow Terry, this is right up my street. We are in a similar field and I find it truely frustrating that so many small businesses fail to see the importance of a website. Especially in this day and age. There is a huge misunderstanding of what a business website should be and can do. Like yourself, I recently launched a members website. We too teach small local businesses how to develop their online presence. Getting to the top of Google (here in the UK) for local search terms is like taking sweets from a baby. At the moment, we have a 100% record for getting clients on the front page. I’m sure this will change as the product is new. I don’t know about you but I would say that’s a pretty good selling point when you consider the return. Even so, I still find it hard to even convince business owners to take the 7 day free trial. Anyway, this is sounding like I’m using your blog to promote my product so I’ll shut up.lol. Would love to see you over at my blog. I won’t leave a link because it’s not the done thing but if you search my name you will find it. This was a great post and it’s nice to find someone who speaks my language. Thanks for the Comment. I found your blog, however it was hard to find within your site. You should say BLOG on the site, it will help more. Also, no one cares about what you get a client, they care what you can do for them. Create teleseminars and more informational videos that talk right to the client. You are here to help them, you have to show with video and audio along with written posts. Good luck with products. I hope we can help small business owners use todays technology to make more money. Thank’s for the advice Terry and for popping over to my place..
It’s funny but over the years I have taught myself several programming languages, WordPress, SEO and all sorts but sales copy just isn’t the same. You can’t just learn it in the same way. I never seem to feel entirely happy with my page but I think that’s kind of a good thing. I get to test lots of pages. lol. I’m working on more sales videos and a new sales page for my product at the moment. You have to keep trying and testing new ideas don’t you.